Hyaluronic acid is at the forefront of a new era for volumising injections. Facial rejuvenation with fillers over the last twenty years, leading to the coming of a new era with hyaluronic acid. The first book in the Master Collection addressed indications and technique for the injection of botulinum toxin. 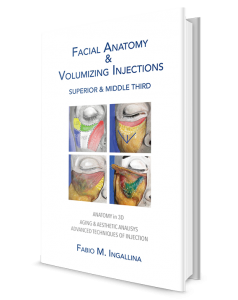 This new work extends our work on facial rejuvenation to the field of volumising injections. The topic is of great importance given that the fight against aging is not just a trivial question of fashion but is essential to an individual’s well-being and social relationships. This is an opportune moment for such a review insofar as there has been major progress in the techniques of facial rejuvenation in the last decade. The broad range of different resources available to us today means that we now often have extensive choice when making our therapeutic decisions. However, none of us would want to cross the ill-defined line between pleasing, natural, balanced rejuvenation and a radical change in facial equilibrium. Medicine and aesthetic surgery are complementary disciplines, both developing quickly but not in competition. The indications for one or the other must always be followed with utmost rigour. The road to excellent outcomes passes by combining the various different methods available to us and by acting together with other experts. From the first timid filling in of wrinkles barely twenty years ago, through focused filling treatments and ultimately global injection of the whole face, the journey has been long and sometimes difficult but always full of lessons. Many different products have been used. Some turned out of have a short lifetime and others had adverse effects, serious ones in some cases. Finally, one compound emerged from the pack and now all experts agree on its efficacy; that compound is hyaluronic acid. 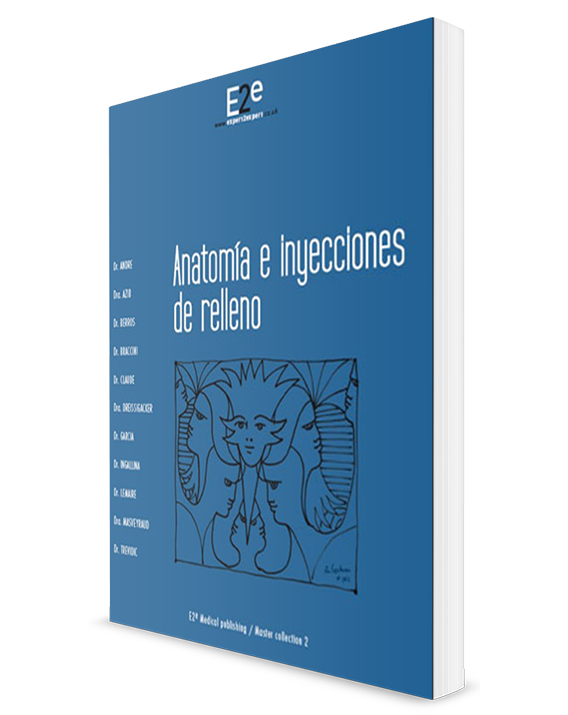 Presentation of our approach necessary to determine the relationships between various anatomical planes into which we inject fillers. By performing serial dissections plane by plane, we have identified safe areas as well as potential hazards. 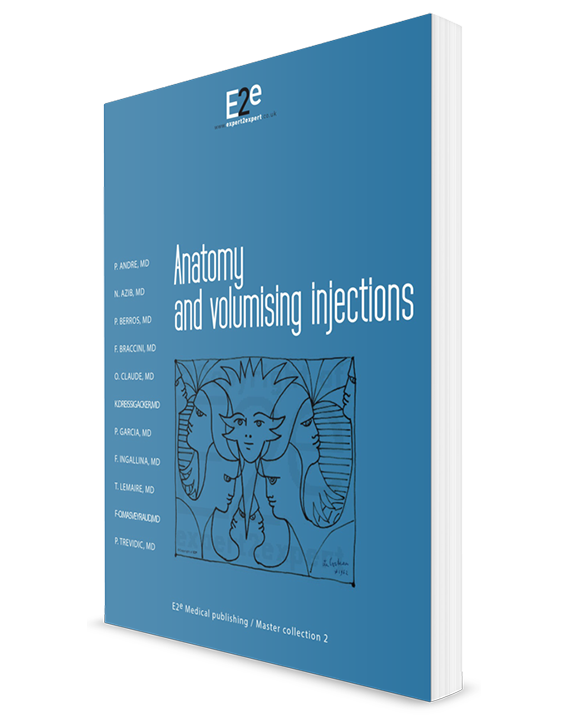 This approach seemed necessary to determine the relationships between the various anatomical planes into which inject fillers. An essential part of this approach is detailed analysis of the different fat compartments which play such an important part in age-related changes to the face. Our work was completed by the dissection of muscles and septa, as well as the identification of their relationship with the fat compartments. These structures are particularly important when it comes to treatment of the infraorbital region and the mandibular line. Therefore, facial aging can no longer be exclusively attributed to the consequences of slippage of the various planes under the influence of gravity, as used to be believed. It is now obvious that the process of facial aging is far more complex. It is even generally accepted now that downward displacements of the fat compartments in the face are controlled by a series of different septa and other ligaments (both false and true) to which they are attached. Moreover, it is also likely that these fat compartments change with time by shrinking and expanding. In the same spirit, what used to be seen as distension of the tissue associated with the muscles of the face and neck could sometimes be a muscular contracture. Probing the exact mechanisms underlying facial aging brings us into a world rich in surprises. And experts from all fields have not finished surprising us with their imagination and enthusiasm. Volume restoration is an important aspect of facial rejuvenation and patients are tending more and more towards non-invasive techniques. Injected facial fillers provide an excellent option for anti-aging treatment with a minimal recovery time. We use them both to fill in wrinkles and to restore volume lost over time. Pain is the main factor deterring patients from seeking injection. In consequence, it is important for the practitioner to understand the anatomy, the products used and anaesthesia techniques to ensure patient’s comfort during the procedure itself and increase the rate of repeat treatments. Patient evaluation, pre-treatment care, pre-anaesthetic evaluation, technical requirements, anaesthesia and post-treatment care are reviewed in this chapter by Nabila Azib, MD, and Patrick Trevidic, MD. The knowledge of dangers of infraorbital areas is essential before injecting fillers in this area. Before addressing the topic of this chapter, it is worth reviewing the terminology used to describe the suborbital region. A clear understanding of the term is very important as the same term is not always used for the same area and a given region. Thierry Lemaire, MD,‘s review includes dark circles, tear trough deformity, lidcheek junction, palpebromalar groove, and midcheek groove. 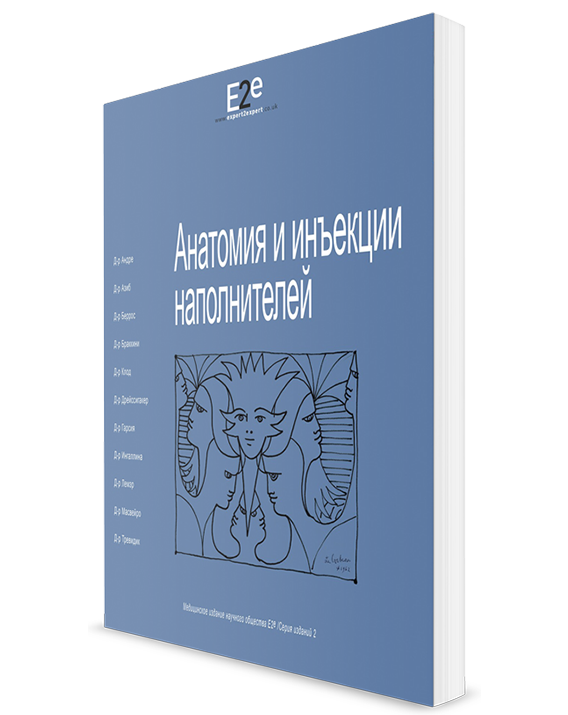 Then anatomical structures and dangers are thoroughly described and detailed with medical illustrations and dissection views. The anatomical structures that promote the development of the tear trough are: the skin and subcutaneous tissue, the orbicularis oculi muscle, the medial palpebral bag. When the tear trough is being treated, damage to the angular artery may cause haematoma. In addition, the injection of hyaluronic acid into the angular artery could cause skin necrosis or visual problems. The palpebromalar groove runs along the lower orbital rim in its external half. Internally, it is continuous with the nasojugal groove. These two grooves mark the transition between eyelid and cheek which is called the lidcheek junction. Sometimes, this seems to be lower than the orbital rim, giving the impression of a longer lower eyelid. The anatomical structures involved in the appearance of the midcheek groove, festoons and malar mounds are focused on. It encompasses the orbicularis oculi muscle, the SOOF, the Orbicularis Retaining Ligament. The facial vein arrives in our region of interest after passing the zygomaticus major muscle. It crosses the deep fat tissue overlying the levator labii superioris muscle and runs along the anterior border of the SOOF in the malar septum. It can get damaged when an injection is made into the tear trough, the midcheek groove or the cheekbones. Hyaluronic acid (HA) is currently the best and safest product for the treatment of hollow dark circles. not painful, preferably combined with lidocaine. However the various complications observed in this area are related to the type of needle that is classically used to fill in wrinkles and the highly specific injection technique. Progress in the treatment of hollow dark circles has been made with a notable improvement in the injection technique through the use of special reinforced periorbital cannulas. Although only 25 G or 28 G, these microplasty cannulas have the advantage of being less flexible, making it easier to control the direction of injection which enhances the safety of operating near the eye. In this chapter, Philip Berros, MD, addresses the side effects of needle injection. He also clearly describes contraindications to Hyalurostructure ® and how to select the right patient for a successful outcome. The technique is called Hyalurostructure ® with HA and is inspired from by the Coleman Lipostructure ® technique (in which autologous fat is reinjected). The anatomy of the region and dangers associated with temporal injection is clearly explained as well as the specific features of the eyebrow. The temporal region is defined at the top by the temporal crest (a projection of the frontal bone), in front by the external orbital rim and below by the zygomatic arch. The posterior limit is less clear, located in the hirsute supraauricular temporal region. Most of this area – also referred to as temporal fossa – is occupied by the temporalis muscle, the fibres of which terminate on the coronoid process of the mandible (mediating its lifting). The muscle moulds the deep bone borders. It is mainly supplied by the deep temporal arteries which derive from the internal maxillary artery at the deep, anterior part of the muscle. Vessel damage is the main danger associated with temporal injection. The risk of nerve damage is actually more theoretical, especially when blunt cannulas are used. There are two type of injection: superficial and deep. Specific features of the eyebrow. The eyebrows are two raised, musculocutaneous structures covered in hairs that forms the junction between the upper eyelid and the forehead. The eyebrow is usually just below the arch of the frontal bone. It is composed of five layers. Olivier Claude, MD, and Patrick Trevidic, MD, describe risks associated with the injection of the eyebrows and shares his injection technique to prevent them. Like surgical rhinoplasty, medical rhinoplasty requires a technical learning process as well as an artistic approach to indications. Non-surgical nose correction or medical rhinoplasty has become a beacon indication in the cosmetic treatment of the face. The absence of significant mechanical stress (facial dynamics being relatively limited here) combined with the stability of the supports of the nasal pyramid (cartilage and bone) makes a particularly propitious field for filling. Filling therefore lasts longer than in other parts of the face. Patient satisfaction is strongly improved. Initially reserved for the correction of post-surgical imperfections – “camouflage rhinoplasty”- today the indications are far broader. This treatment is possibly with the injection of botulinum toxin if muscles are overactive (depressor septi nasi, etc). Treatment sessions can act as “medical morphing” with patients subsequently taking the step towards surgery. It should be remembered that such medical techniques do not in any way compete with surgery. Rhinoplasty remains primarily a surgical procedure but the development of fillers and botulinum toxin is obliging us to review indications and the advice we give to our patients. The midcheek groove is in the middle of the cheek and represents a downward and outward prolongation of the nasojugal groove or fold, otherwise known as the tear trough. A full cheek, characteristic of youth, starts at the nasolabial fold and extend as far as the zygomatic apophysis. The aging process leads to loss of cheek volume with progressive flattening eventually leading to median concavity. The loss of volume causes pseudoptosis of the skin of the cheek. The midcheek groove occupies the middle part of the cheek. It follows on from the nasojugal groove, oblique below and outside. The subcutaneous and deep fat tissue do not constitute a uniform structure but are rather partitioned to form distinct anatomical compartments. The smooth young face is characterised by a degree of roundness in its middle third. Filler injections can restore volume lost in the course of aging. They can model new volumes and recreate more harmonious malar and zygomatic regions. Familiarity with the fat compartments, septa and muscles of the middle third of the face is indispensable when it comes to making injections in this region. The result will depend on accurate deposition of the right volume at the ideal depth. We have decided to address the marionette line, the anterior mandibular line and the chin together as a single nosological, anatomical and therapeutic entity. These three anatomical structures are in the lower, anterior face. They age simultaneously, accelerating after the age of 50 and exponential accentuation with time. Our choice was guided by changes with age and patient demand. The visual impression of each of these structures is accentuated by the presence of the others, e.g. a big mandibular ligament will promote jawls which are themselves dependent on retrogenia. Moreover, treating one has an impact on the visual effect of the others. Dissection showed us that the relatively immobile fat deposits exacerbate visual aging when they lose volume whereas the heavier, thicker, superficial pads tend to grow in volume and are displaced downwards on the muscular plane. The result is a loss of harmony in the natural lines of youth, breaking the regularity of curves and lines, especially around the chin. Aging of the lower face is therefore the result of conflict between muscle contractions and superficial fat compartments. My technique is based on volume creation on an important surface. The first, traditional approach involves retightening up the tissues, and the second is based on the idea of volume restoration, the creation of volume. My technique is based on volume creation on an important surface. In the 1990’s, Sydney Coleman reorientated the management of facial aging in this direction with his structural fat grafting or Lipostructure ® technique. In addition, my contribution aims to emphasise a recent paradigm shift: fewer surgical procedures but more complementary forms of treatment informed by current knowledge about the facial aging process. Today we have the equipment and techniques to offer patients simple, less invasive solutions which bypass the need for surgery to harvest and graft autologous fat tissue. Synthetic, cross-linked hyaluronic acid has been shown to be safe over the years as well as high filling capacity and long lasting action. Blunt cannulas developed specially for hyaluronic acid make injection possible with a minimum of tissue damage and significantly less pain. In March 2009, I first used a cannula for partial volume augmentation with hyaluronic acid. From this first experience, the advantages of a blunt cannula over a sharp needle were evident. Some patients fell no pain at all during treatment and oedema and bruising – when they occurred – were very mild. On the basis of this experience, I have been able to expand the scope of indications in a relatively short time frame, ultimately to use it for the entire face. All the cosmetic units of the face are into account in this therapeutic concept. In recent decades, our patients’ demand for cosmetic treatment has grown considerably and greatly changed. The development of cosmetic medicine and of the resources available to us to ensure positive therapeutic outcomes has enhanced the arsenal for practitioners who are involved in this discipline. Nevertheless, the products that we use for deep injection have to be thoroughly analysed since some can cause complications that may be cosmetically serious and induce irreversible sequelae. Between these two extremes, there are products that are resorbed over a long period which can induce delayed particularly unsightly side effects which will require recorrection. We shall single out the paraffin oil which used to be used for volumising treatment of the buttocks and breasts. The typical resultant inflammatory reaction has been described as “paraffinoma”. The silicone fluid that was used for a long time could result in delayed over-correction and inflammatory reactions sometimes onsetting years after injection (“siliconoma”). It is important to remember that there is always a risk of permanent complications when a non-degradable product is used. Although no injectable products is perfect, the safety and efficacy of biodegradable products let us correct not only wrinkles but also restore volumes which change with time. In 1982, bovine collagen was the first product licensed for the treatment of wrinkles. Since then, new agents have been developed and are now in widespread use. Today, hyaluronic acid is the safest agent and is available in different viscosities so that it can be used in a variety of ways matched to different indications. Some products, although biodegradable, are strong inducers of collagen synthesis in some people and are long-acting; polylactic acid is the main representative of this class to date. Finally, as is the rule in both medicine as well as aesthetic surgery, the patient must be fully informed about possible complications. Having used LPLA for ten years –with more than 1,500 vials used for about 500 patients, the author here shares his experience. L-polylactic acid (LPLA) differs in that it acts rather as a tissue stimulant rather than a filler. The efficacy of LPLA as a volumising agent coupled with its long-lasting action were associated in the past with doubt about its resorption. When it was first used, before 2002, the indications for the product and having to make it up beforehand complicated its use.